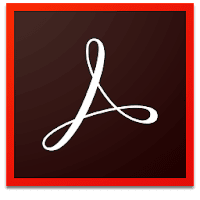 Adobe Acrobat Reader DC is a free, powerful and user-friendly software for reliably viewing, printing, signing and annotating PDFs documents. It's able to open and interact with all types of PDF content - including forms and multimedia. Adobe Acrobat Reader DC is connected to Adobe Document Cloud so you can work with your PDFs anywhere. You can even access and store files in Box, Dropbox, or Microsoft OneDrive. Adobe Acrobat Reader DC is a industry standard application from Adobe, the creators of the PDF (Portable Document Format) format. Adobe Acrobat Reader DC is also available in Pro edition: Adobe Acrobat Pro DC. Perfectly view and annotate PDF files. Files are easy to access from all of your devices. Protect against malicious PDF files. Disclaimer: Direct downloads for the lastest version of Adobe Acrobat Reader DC 2017.012.20093 are provided by the official software's author, we can't guarantee safety, availability or download speed. Moreover, we don't and we won't provide any pirated/illegal versions or tools. We recommend you to avoid it as these methods can harm your device. If you like the software, buy it to support the developers. (We provide software discounts for many worldwide brands).